I recently switched applications for my personal email, and have since been on a filtering rampage to improve the quality of the stuff that makes it to my inbox. My motivation was a change in email tools, but after just a couple weeks of creating filters (taking a grand total of 15 minutes over that time), my inbox is much better than before. Now’s your chance to do the same thing. 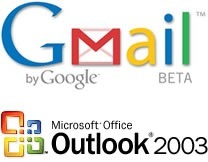 I’m going to talk first about Gmail and then about Outlook–the principles are the same, and the result is a lot of saved time and easier focus. The only things I want in my all-important inbox are what I care about today, and plan to act upon right after I read. Generally speaking, these are unique communications from people that are sent primarily to me. My inbox is something I clear out every day, and address all of its messages–I don’t want anything slowing me down. BE RUTHLESS. Anything resembling a newsletter or automatic notification is probably not worthy of your immediate attention–remember, things that make it to your inbox will also make it to any remote devices’ inboxes you check. Anything that’s not sent directly to you with personal information is likely something you can deal with another time. Rather than trying to go through old messages and create filters for them at once, spend 30 seconds to create a new filter when the need arises. Just ask yourself every time you’re about to delete or file a message: will I be doing this again? If the answer is yes, then create a filter. My apologies that these videos are slightly cropped–the non-cropped versions are on Screencast: Gmail & Outlook. This was my first time using Jing (it rocks…but to my knowledge doesn’t provide any editing options); also, the new version of our site that we’re designing will accommodate wider blog postings. Whether or not you were familiar with creating rules/filters in the past, be very careful to ALWAYS create rules (or unsubscribe) rather than filing (or deleting) messages right away–within a month, you’ll get far fewer messages in your inbox…and thus it’ll be much easier to manage you email. Very good addition, Brian! Personally I find myself so naturally distracted that I often click on those folders (when they’re bold) so I don’t need to “remind myself”–but others might need a little nudge and that’s helpful :-). I look forward to the day when I’m not so easily distracted!